When most of us think of African landscapes, among the first things to come to mind are images of the great savannahs, wild animals or big red suns hanging over dusty remote villages. When most of us think of African landscapes, among the first things to come to mind are images of the great savannahs, wild animals or big red suns hanging over dusty remote villages. However, the pristine beaches of Zanzibar in Tanzania will have you seeing Africa through a different lens. 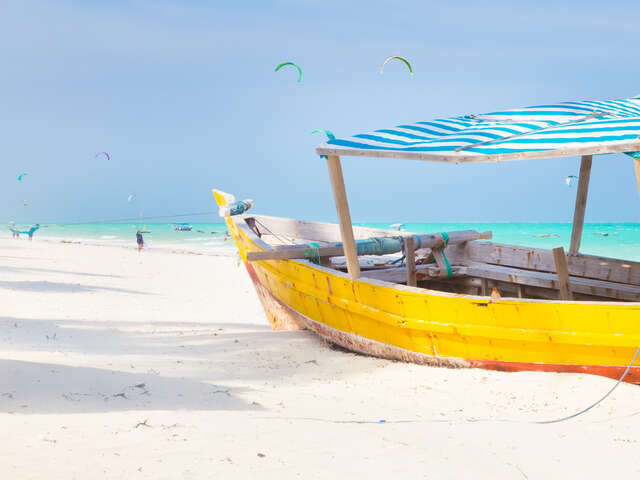 Just a short flight from Dar es Salaam on the shores of the Indian Ocean, Zanzibar is the perfect getaway spot. Zanzibar is famed for its long stretches of white sand beaches; there are 25 in total. The beaches are great for lazing about to soak up the sun, and the water is perfectly warm for swimming. You'll find beaches with bars and restaurants, local craftsmen working on carvings or masks, and fruit vendors selling fresh coconut or mangoes. Underwater, Zanzibar boasts everything from beautiful corals to tropical fish, manta rays and sharks, making it a marine playground for those of us who love to snorkel or dive. Several local tours also offer opportunities to get a glimpse of sea turtles or dolphins. Deep-sea fishing excursions can also be arranged. A visit ti Zanzibar's main town, Stone Town, will take you back in history for a glimpse of what it was like when Zanzibar was a booming trading port. With many of its original buildings and facades still intact, Stone Town was declared a World Heritage Site in 2000 by UNESCO. It's the perfect place for wandering the narrow roads to see museums, markets and beautiful buildings that reflect Zanzibar's rich African, Arab, Indian and European cultures. Stone Town is also an important location in the history of the slave trade. 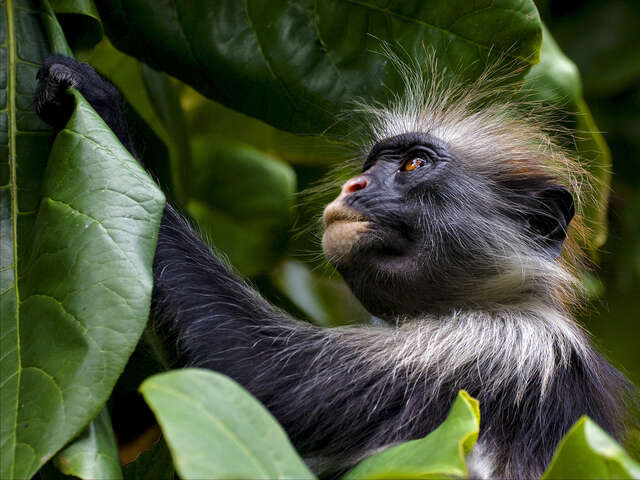 Zanzibar is home to the red colobus monkey, an endangered species with spiky white hair around its face and a patch of red on its back. Tour guides can arrange trips to Joazani Forest where visitors can get a glimpse of or snap a photo of the monkeys. Your entry fee to the park will support conservation efforts. Historically, Zanzibar was an important port on the spice route. Today, spices including locally grown cloves, nutmeg, cinnamon and black pepper, continue to be vital to the island's economy. Visitors can tour nearby plantations in rural communities and learn more about how spices are used in traditional medicine. 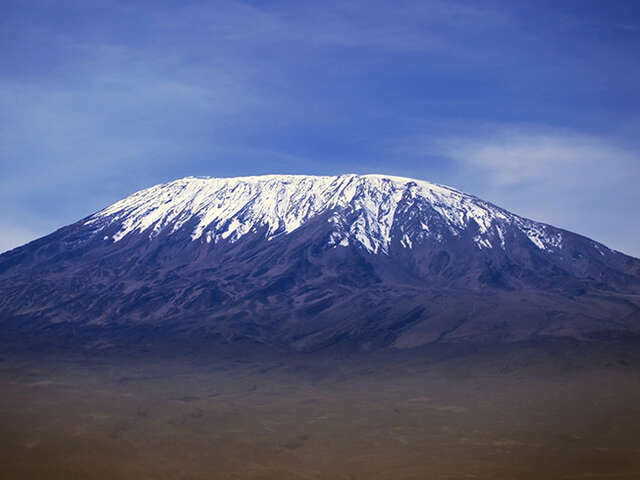 With regular tours on offer to climb Mt. 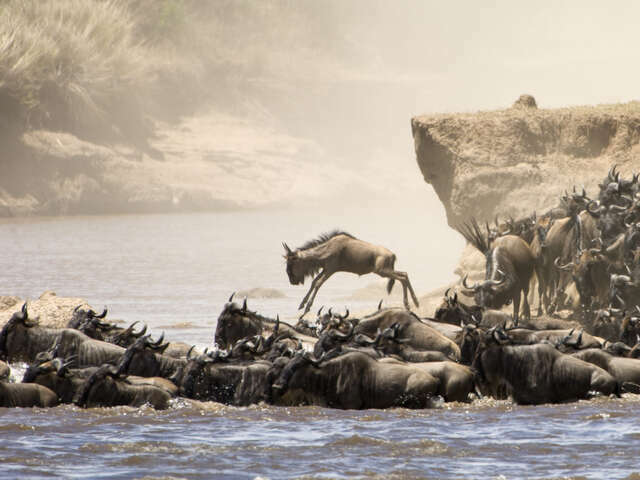 Kilimanjaro or to see wildebeest migration in the Serengeti, Tanzania is an adventure traveller's dream. Zanzibar is the perfect place to either start or finish extended travels in East Africa. VIEW OUR FEATURED TOUR OF ZANZIBAR!